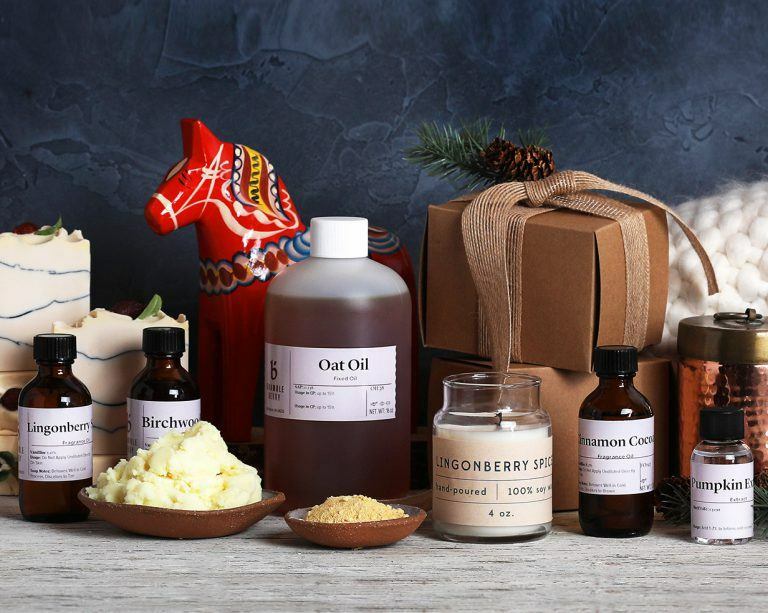 There are so many ways to use the new oils, scents, and packaging from the Hygge Collection It’s inspired by the Danish concept of hygge (hoo-gah), which is the everyday pursuit of happiness and comfort. 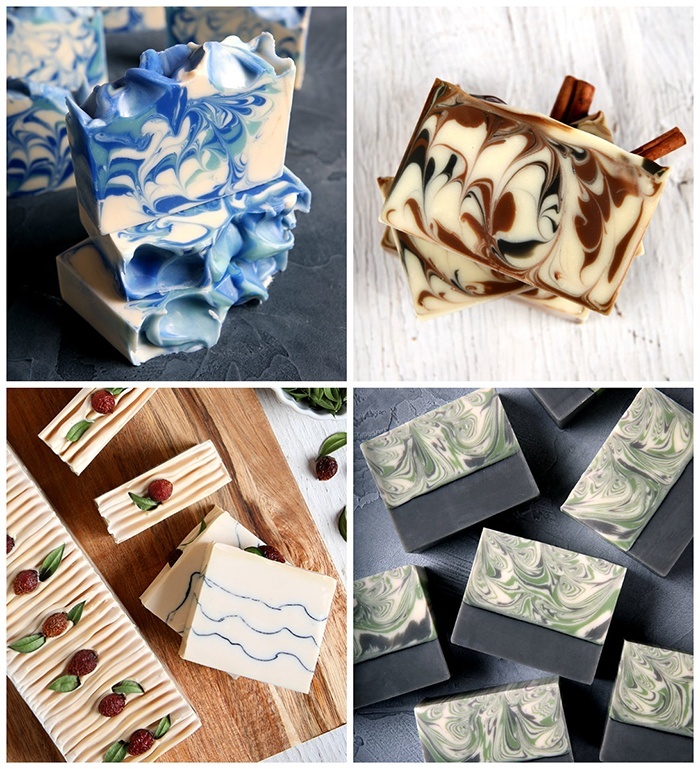 The products work well in melt and pour too. The Alpine Frost Crystal Soap is an easy and fun recipe to try. 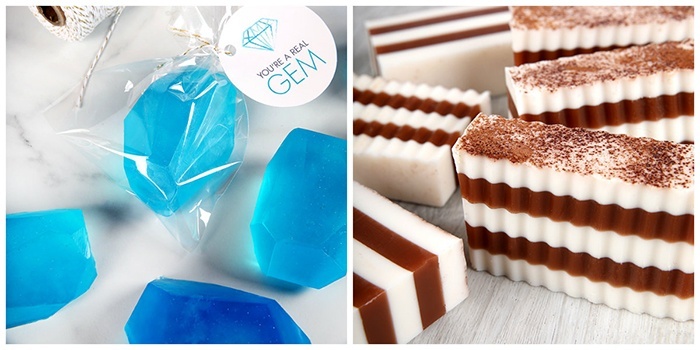 Ultra Clear Soap Base is colored with Brilliant Blue Lab Color and scented with Alpine Frost Fragrance Oil, then the bars are cut into crystal shapes. The Cinnamon Cocoa Soap demonstrates the crisp and clean layers you can get with melt and pour. It’s topped with a bit of cocoa powder. Cashmere Fragrance Oil is a comforting blend of magnolia, blueberry, and violet. It’s perfect for this luxurious body scrub, which is made with sugar, liquid cashmere, and Foaming Bath Butter. These Oat Bath Salts are another luxurious option. 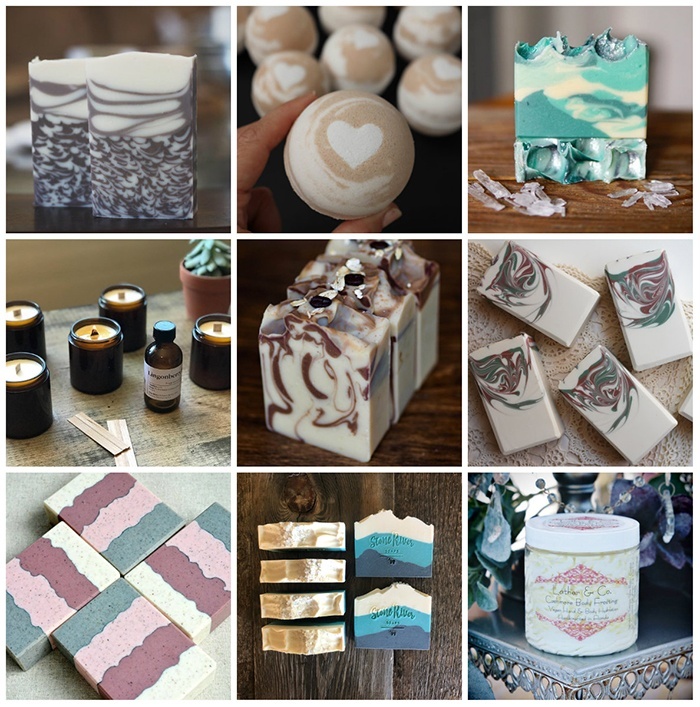 They’re made with Epsom salt, oat oil, and Oatmeal Milk and Honey Fragrance Oil. Oat oil works well for facial recipes too. The Pumpkin and Clay Face Mask is designed for those with oily and combination skin. If you’re on the hunt for more projects that are perfect for gifting, you’ll love the Pumpkin Spice Bath Truffles. 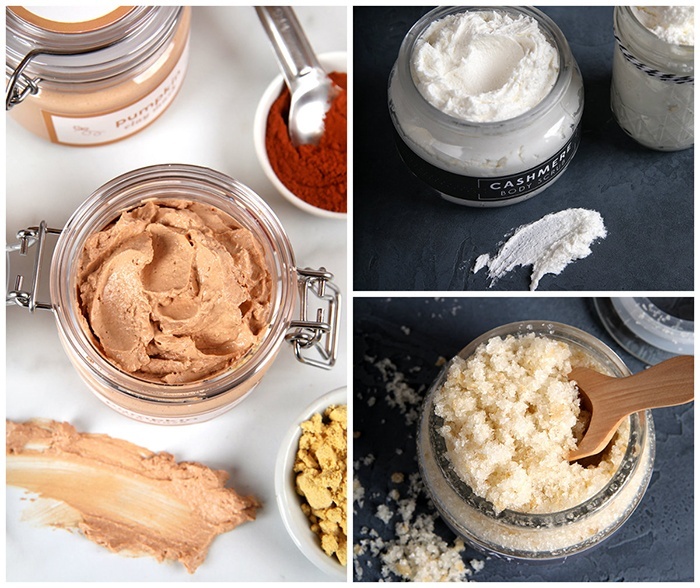 They’re made with skin-loving shea butter and pumpkin extract. The mix of Cashmere and Pumpkin Spice Fragrance Oil will make the bath water smell just like fall. Finish your skincare routine with one of these moisturizers. The Oat and Cashmere Lotion has a creamy texture that glides onto the skin easily. 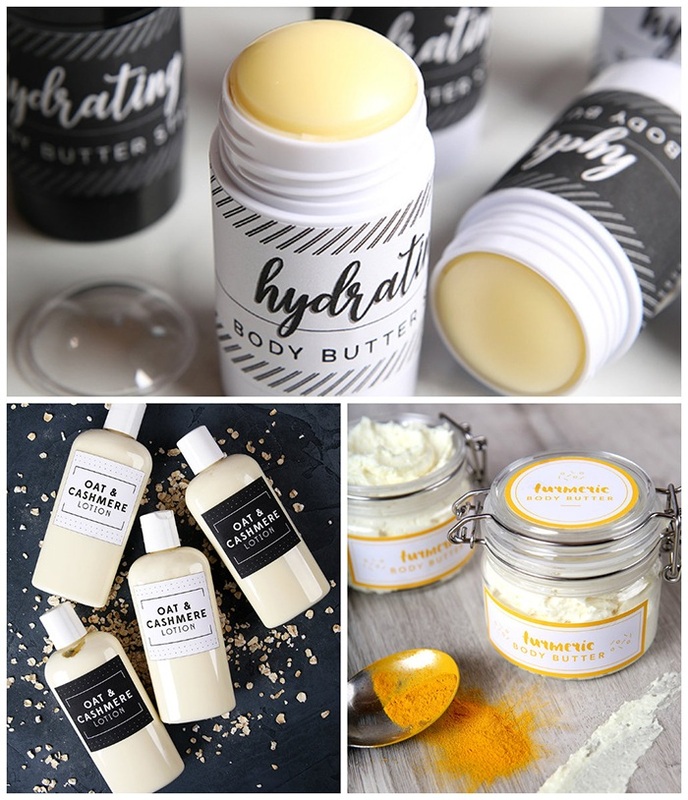 If you prefer something more heavy duty, try the Turmeric Whipped Body Butter. The turmeric shea butter and coconut oil create an ultra-hydrating blend that’s great for dry areas like elbows and feet. The Hydrating Body Butter Sticks are poured into new Black and White Twist Tubes so they’re mess free and easy to pack into a purse or suitcase.